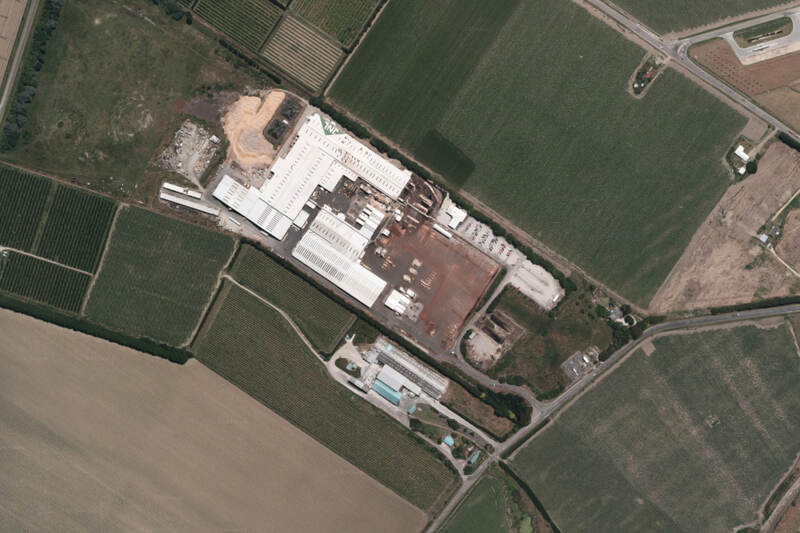 Juken New Zealand Ltd (JNL) has announced a proposal to nearly halve its workforce at their East Coast mill in Gisborne. E tū represents production workers at the mill. E tū Engineering Industry Coordinator Ron Angel says the move would be a big blow to the community. “As the only significant wood manufacturer in the area, the livelihood of many family relies on jobs at the mill,” Ron says. The company is entering the consultation period today. Ron says that this proposed downsize, as well as recent news about the likely closure of ABCorp’s Christchurch plastic card manufacturing plant, demonstrates the need for urgent action from the Government to save our manufacturing industry. “The Labour-led coalition Government has made a strong commitment to protecting working families and helping with decent regional employment opportunities. FIRST Union President Robert Reid will represent the unions in the media. About 50 workers are set to lose their jobs after a prominent plastic card manufacturer has proposed moving operations to Australia. 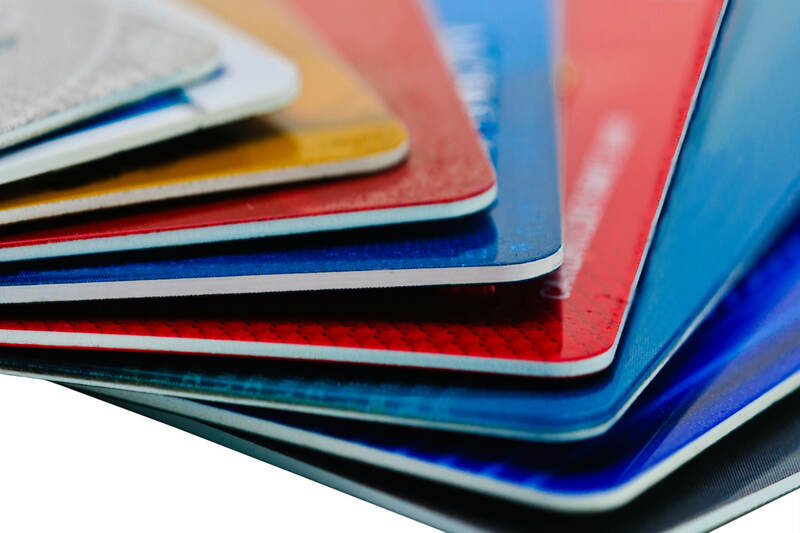 ABCorp have informed workers of their intention to close their plastic card manufacturing plant in Christchurch by as early as 30 March, after a three-week consultation process. E tū spokesperson Joe Gallagher said the workers are shocked by the news. While a final decision has not yet been made, the future doesn’t look good. “It’s really come out of the blue for them and the short consultation period makes us think that the company’s mind is made up,” Joe says. Joe says that while the company may offer employment at other sites, this would be unrealistic for most workers. Joe says that these and other types of jobs could be saved by the Government taking a better look at local procurement, particularly as the closure comes after the company has lost a number of local contracts. 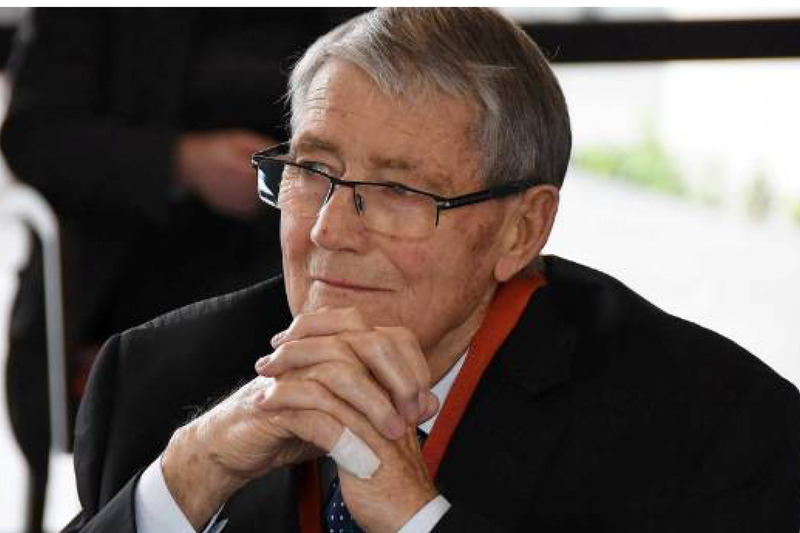 E tū is saddened by the passing of Jim Anderton, our former Deputy Prime Minister and a huge figure in the Labour Movement. E tū Assistant National Secretary John Ryall says that Jim’s legacy is a better New Zealand for working people. “He was bold, hard-working, and courageous. He was known for standing up for what was right, even when it was hard,” John says. “Workers can thank Jim and the movement he led for policies like four weeks annual leave, the introduction of paid parental leave, and the creation of Kiwibank. “Jim spent his political career fighting for working people and their families. He had an intrinsic respect and passion for everyday workers, the outcome of which was a powerful voice for workers in parliament, in government, and on the streets. “The values Jim applied to politics were in many ways exemplary for the wider Labour Movement, particularly as he was so aspirational for a better world. 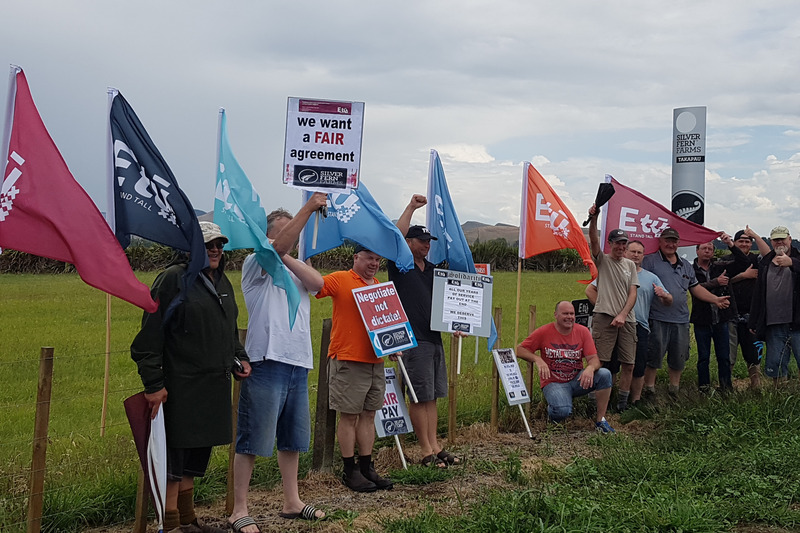 Nineteen maintenance workers at Silver Fern Farms Takapau are very disappointed that instead of improving their offer after today’s strike action, the company has made the offer even worse. Before the workers took industrial action, the company had offered a 1.5% increase as back pay for the nine months prior, followed by 2% increase at the time of settlement. The workers rejected the low offer and voted to take strike action to demand an offer that appropriately recognised their hard and important work. However, the company has now withdrawn their offer of back pay, apparently demonstrating no desire to give the workers the modest increases they are requesting. The workers have also been suspended for the duration of their industrial action. E tū organiser Laurel Reid says that the workers are not deterred. “The 19 maintenance workers were unwavering out on the picket line today, even under a thundery sky, with every intention of continuing to fight for fair recognition of their hard work,” Laurel says. Media are invited to the picket line tomorrow. Nineteen maintenance shift workers at Silver Fern Farms have voted unanimously to strike for three days from 3 January as the company has refused to give them a fair offer in negotiations. Bargaining has been going on for over a year and the company’s tiny offer has only increased from 1% to 1.5%. E tū and Silver Fern Farms entered mediation earlier this month, however the company have refused to improve their disappointing offer. E tū delegate Brendon Illsley says the offer is “just not good enough”. “We keep the plant running, from plumbing to fixing machines – anything that needs to be done. “We work long hours and the morning shift starts at 5am. There’s also a lot of overtime at this time of the year. E tū organiser Laurel Reid says that it was quite clear from the employer’s response early in the process that there would be problems. “Silver Fern Farms did not take our claims seriously, from bargaining to the recent mediation,” Laurel says. The cleaners and caterers that keep parliament tidy and healthy are going to be paid the official Living Wage by 2020. 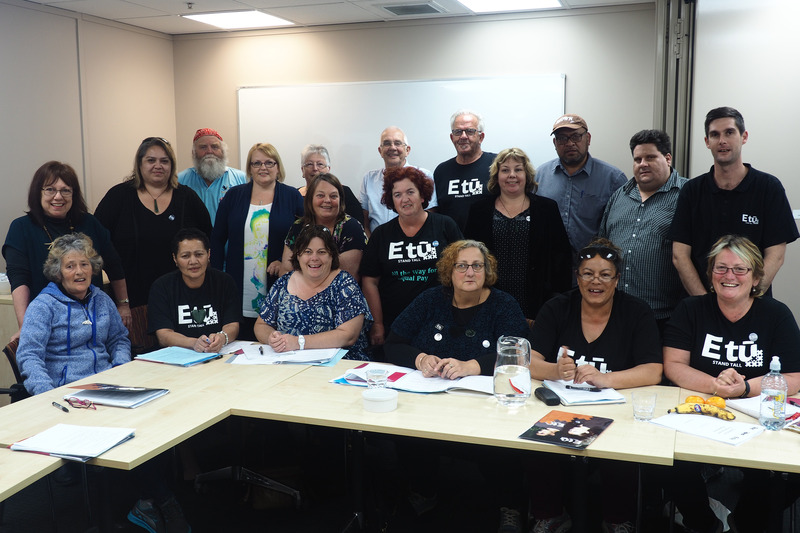 Speaker of the House Trevor Mallard made the announcement yesterday, to a gathering of E tū members and Living Wage community representatives. Mr Mallard announced that catering staff would be paid the official Living Wage (currently $20.20) from July 2019, and cleaners would follow by the beginning of 2020. There will also be steps towards the Living Wage, with both cleaners and caterers having a pay rise of half the difference between their current rate and the Living Wage in July next year. Jan Logie from the Green Party and Tracey Martin from NZ First spoke in support of the decision. 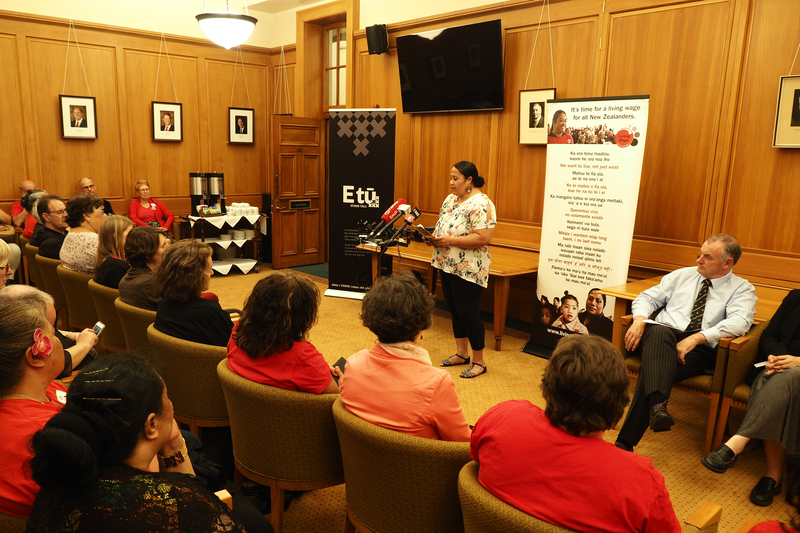 Parliamentary cleaner and E tū member Eseta Ailaoa also spoke at the event, explaining that the wage will allow her to do things that weren’t possible before. “This will make a difference. I will be able to save so money for myself and my kids to go on holiday,” Eseta said. 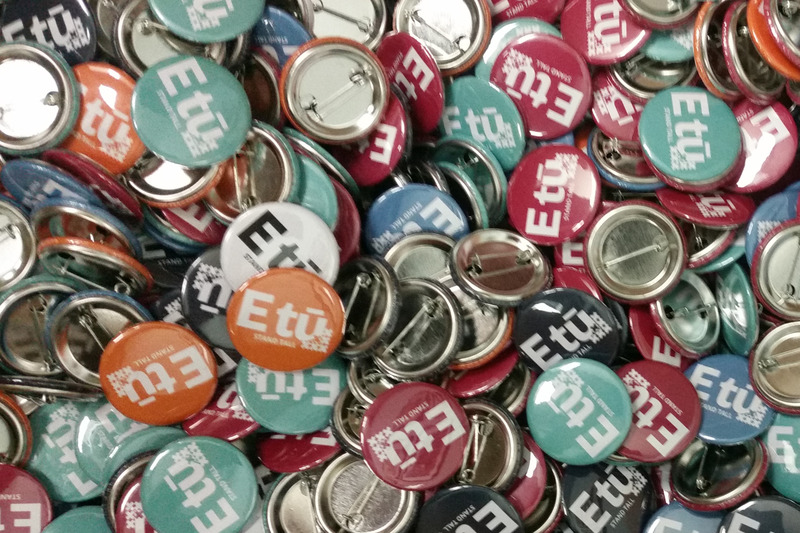 Please click here to read our latest union magazine, E tū and you. Season’s Greetings from everyone at E tū! In the case of sleepovers, it took seven years. The recent equal pay settlement took five years and last year’s pay talks started in October 16 and finished in July 17. So, while we shouldn’t be surprised that the 2017 collective bargaining at IDEA will carry on into 2018. Back in September members voted on a two-tier process with the focus on a short-term agreement through till May 2018. We’ve called that Plan A. Plan B was to table a wider set of goals with a greater focus on weekend and overtime pay – but only if Plan A didn’t work. Restoring the margins (relativities) for senior staff now paid the same as others. An agreed worker participation process. Despite three days of formal bargaining IDEA has not agreed to our proposals and is insisting any new agreement running till October 2018. IDEA has rejected the union timetable for the project groups and has not (yet) committed to the terms of reference we suggested. E tū are holding firm that there needs to clear union participation in both Service Reviews and Schedule Reviews with more fair and reasonable process around reviews, there is a real need to reduce stress and anxiety for members around the service reviews process. Members have a right receive accurate and relevant information to be provided to the union and members so that members have real informed choice, and to ensure that IHC take every practical step to sure members hours are maintained or increase. For our admin members the principles of equal pay are as relevant to their job as it was to support workers. What’s very disappointing is that IDEA won’t even discuss the first step. Even their pay offer of 5% doesn’t restore the relativities to the pre-July position. IDEA has made an ‘offer’ which fell well short of our claims. In a strange move they told us it was a ‘package’ available until December 4th, despite us explaining it was simply not possible to consult with 3000+ members with such short notice. Reduce the 2 weeks notice require for schedule changes to just 24 hours. Getting any employer to remove their ‘nasty’ claims is part of the bargaining dynamic, but it was disappointing to see IDEA roll out the same old claims that disrespect hard won rights. Your bargaining team told IDEA we would NOT be recommending their offer and even if we wanted to the timeframes were just not practical. Instead we are going to ask IDEA to meet again before Christmas to try and reach a settlement that genuinely respects the issues staff have raised. We are still waiting for IDEA to agree to meet. If we make progress, we’ll update you in the New year. If not then we will start over with Plan B, or C, or D and keep pushing till we get a deal that is fair for everyone. Whatever happens we will be holding paid membership meetings early next year and, as always, it makes a difference if you attend. IF we make progress you get to decide if it’s enough. If we don’t make progress, we need to get ready for action. If you’d like to discuss the report talk to your local bargaining team member or Union Support on 0800 1 UNION (0800 186 466). IDEA Services Support and admin bargaining kicked off this week with two full days of negotiations. In we September endorsed the push for full time jobs and a fairer process to deal with the challenge of service reviews. Also high on the agenda is making sure staff are safe at work and sorting pay relativities for senior staff as well as equal pay for admin and supervisory staff. E tū delegates want a short term agreement to ensure any changes are the right ones, but so far IDEA says it wants the full 12 months. More talks are scheduled for November 13th with nationwide report back meetings due before Christmas.